"Leo Brent Robillard's The Road to Atlantis is a poignant, resonant tale of a family's dissolution following the death of their daughter. In gorgeous, gripping prose, he explores how individuals cope with tragedy and how grief sifts through the generations until it can finally settle and heal. This is a novel that echoes with human emotion and meaning and that deserves to be read." I'll be celebrating the launch of my new novel, Drift, in my home town. All are welcome. Reading will be followed by a Q&A and book signing. Free refreshments and cash bar. Read's Books will be selling copies of the novel at the event. I am an author and educator. My novels include Leaving Wyoming, which was listed in Bartley's Top Five in the Globe and Mail for Best First Fiction; Houdini's Shadow, which was translated into Spanish; and, Drift, which was long-listed for the Relit Award. 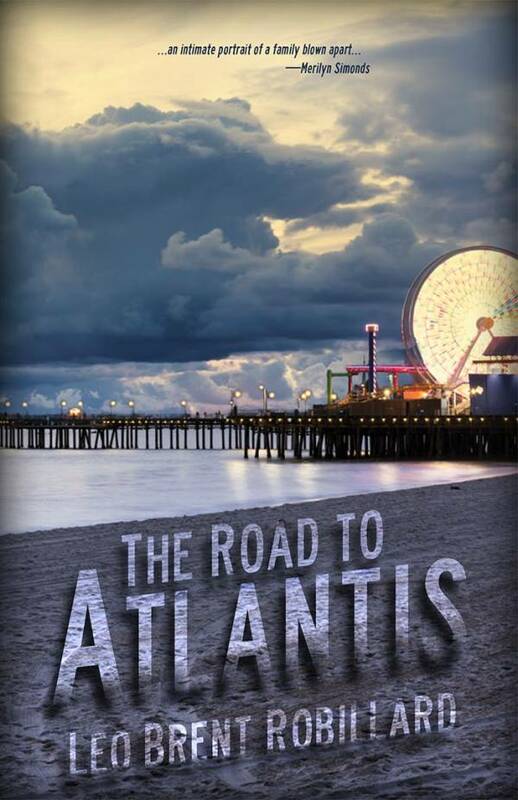 The Road To Atlantis, my most recent novel -- traces a family's dissolution and healing following a tragic accident. It was short-listed for the Mary Scorer Book Award. I live in Eastern Ontario with my wife and two children. Aside from my work as a teacher and writer, I enjoy travelling and hiking. My travels have taken me to twenty-six different countries and four continents. Every two years for the last decade, I have also lead humanitarian missions to Nicaragua. At the moment, I am slowly working my way through the 46 high peaks of the Adirondacks. I am also a crafstsman and luthier with a small shop and studio on Lake Eloida, where I build Bludstohn Guitars.